Climate change, pollution, extinction...these words have been buzzing in the media lately. 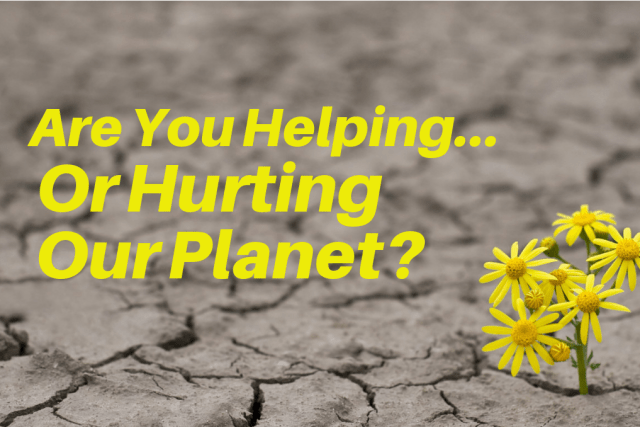 Are you helping or hurting our planet earth? Take this quiz to find out! Have you ever taken rocks or shells home from a beach? Have you ever flushed medications down the toilet? Do you drive a car that runs on gas? Do you shop at second-hand clothing stores? How long is your average shower? Good news! Your everyday habits are actually helping the planet! Good for you! Yikes...your daily habits show us that you are actually harming the planet more than you're helping it. Boost your eco game before it's too late!